In the 1932 movie ‘Shanghai Express’ an eccentric crew are thrown together in the First Class carriage of a train travelling through civil war torn China. They include an English missionary, a French veteran, an American gambler, a German opium dealer and a Chinese spy. Marlene Dietrich plays the elegant and enigmatic Shanghai Lily. She discovers that a rather reserved British army doctor, Captain Harvey, is a fellow passenger. Five years earlier they were in a relationship, but they separated when she tested his faith in her. Lily has since adopted the life of a courtesan. It becomes clear that Lily and Harvey still carry a torch for one another. Will they be able to rekindle their romance despite everything that has happened? Director Josef von Sternberg uses ‘Shanghai Express’ as a vehicle for Dietrich’s extraordinary beauty. He employs a raft of lighting techniques and costume choices to draw our gaze. We see Dietrich in the dark, in torchlight, emerging from the shadows; Dietrich behind a lace veil, in a feathered cap, her face framed by fur. There’s Dietrich in a long silk dress, in a chain-mesh collar, in a kimono; Dietrich with a blonde bob, backlit. Big eyes, hooded lids, hypnotic gaze. Dietrich walks through steam, peers through glass. She smokes a cigarette. We are fascinated by her angular cheekbones, her elegantly trimmed eyebrows, her sad sombre voice. Dietrich in jewels, in the Captain’s hat, in tears, in prayer. As the train makes its way across China the two former lovers confront each other. Harvey professes his enduring commitment to her. Lily is confused. It’s true of business too. Arrive before there’s Client appetite or commercial need and you’ll not be properly appreciated. Come too late and you’ll miss the boat. It’s not enough to be right. You need to be right at the right time. As the Shanghai Express progresses across China, it is hijacked by rebel soldiers. Lily saves her former lover’s life, but he once again misinterprets events. 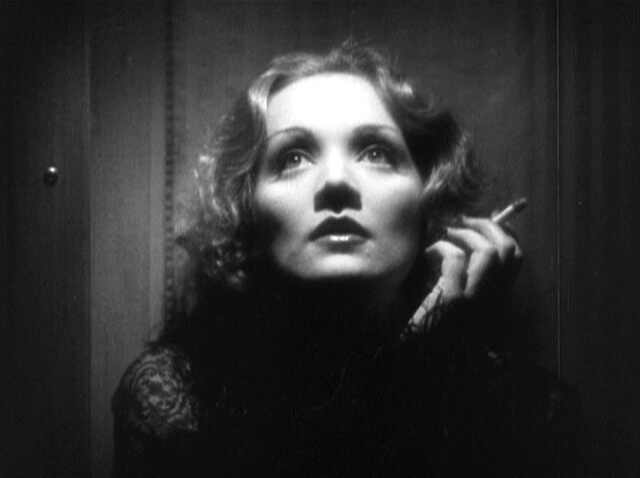 Dietrich turns the light out and is alone with a cigarette. Finally, to everyone’s relief, Harvey sees sense. He catches up with Lily on a crowded Shanghai Station platform. When I want you in my world? When I'm already someone’s girl? I guess I'll see you next lifetime.